Unfinished portrait verso. 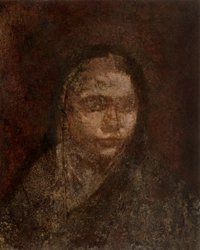 Jamini Roy was considered to be one of the finest of the commissioned portrait painters in Bengal circa 1920 . 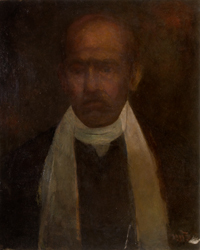 Another example can be seen in the Indian Musem Calcutta - potrait of Hara Kumar Sarkar.